Stretch marks are one of the most common problems faced by both men and women. It not only affects one’s confidence but also makes them feel uncomfortable about their body. While most women experience stretch marks during pregnancy, but that is not the only cause. Stretch marks can also be caused due to a sudden weight loss or weight gain, puberty, hereditary factors, stress, etc. Stretch marks are long, narrow visible lines that appear under the topmost layer of your skin. These irregular stripes are of a different color and texture than your normal skin and are caused due to overstretching of skin. The color ranges from red, bright pink to off-white colored hue. Stretch marks are commonly found on the abdomen, thighs, upper arms, breast and buttocks. So the question is how to get rid of stretch marks?? Worry not! These top 10 home remedies will help you to reduce, lighten and get rid of stretch marks fast and naturally. Olive oil is one of the best home remedies to get rid of stretch marks fast and naturally. 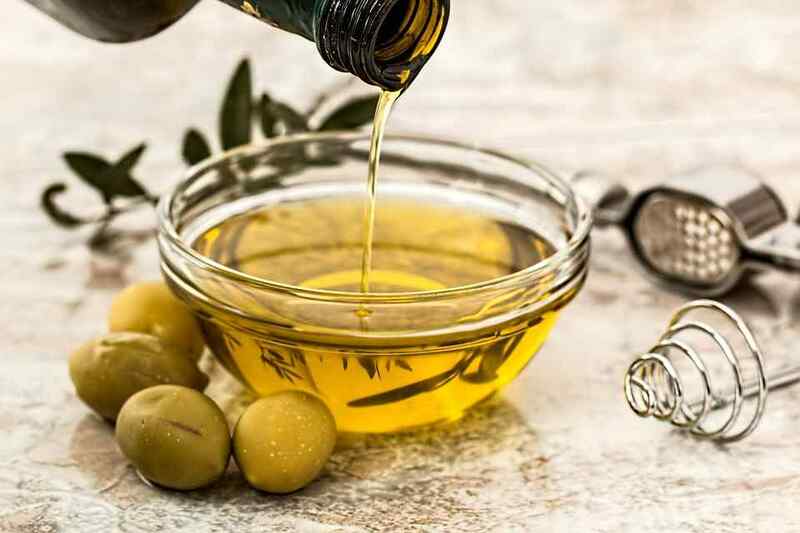 Olive oil being a rich source of vitamins, nutrients, and antioxidants is excellent for your skin. It not only has many healing properties but also helps in relieving various skin problem including stretch marks (1). Regular massage with olive oil will surely have a noticeable change on your stretch marks. Take some olive oil (Extra Virgin) in a bowl. Leave it for about 30 minutes on your skin. Let the skin absorb all the vitamin and nutrients from the oil. Add a healthy and nutritious detoxification diet which can boost your system Naturally. Potato juice is one of the easily found ingredients in a household. It contains a good amount of vitamin B6, Vitamin C, niacin and potassium. In addition to having anti-inflammatory properties, it also consists enzyme named catecholase in it which behaves as a bleaching agent and aids in lightening stretch marks. Regular application of potato juice will help you to get rid of stretch marks and reveal brighter skin tone. Take a potato and slice it up in half. Finely grate one half of the potato and extract the potato juice from the remaining half. Mix both the juice and grated potato together and apply the mixture onto the desired area. Let it dry for about 30 minutes and then rinse off the area with lukewarm water. Gently pat dry and apply moisturizer. Continue doing this twice a day for a month. 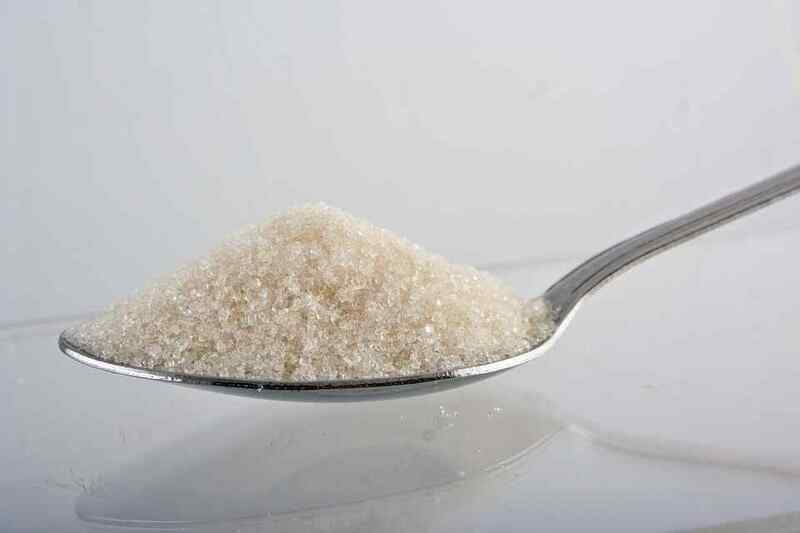 Combine 2 tablespoons of sugar with enough amount of almond oil. Stir the mixture and apply it on the desired area. Scrub well in circular motion and leave it for 3-4 minutes. Repeat it daily for a month. Lemon juice is considered as one of the best and easiest home remedies to get rid of stretch marks. Lemons can easily be found in any kitchen and contains natural acid which not only helps in reducing and lightening stretch marks but also accelerates the healing process. It can also be used as a natural remedy for other skin problems like acne, pimple, etc. Take one-half of the lemon and rub it onto the stretch marks. Keep on rubbing it in a circular motion for about 5 minutes. Let the lemon juice rest on the skin for another 5-10 minutes and then wash it off with warm water. Continue doing this daily for about 3-4 weeks. This is one of the most effective home remedies to get rid of stretch marks. Egg whites are a rich source of vitamin A, protein, anti-oxidants which helps in fighting free radicals and also enhancing the elasticity of the skin. It also contains amino acid which helps to restore and improve the skin texture and appearance. Separate the egg whites from their yolk. Take a spoon or fork and lightly whisk the egg white. Apply a thick layer of egg whites on the stretch marks. Let it dry completely and then wash it off with cold water. Redo this procedure 2-3 times a day for 1 month. 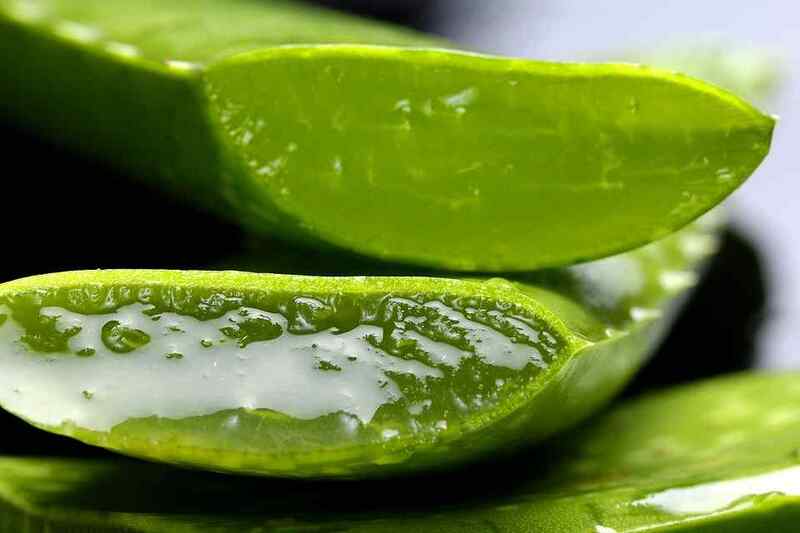 Take fresh Aloe Vera, cut off the thorn with a knife and peel off the skin. Cut the flesh into small pieces and blend them in the blender. Apply this gel over your stretch mark and gently massage it for about 3-4 minutes. It is known for its many health benefits out of which one of them includes skin healing properties. Coconut oil increases the blood flow to the skin and also helps the skin to maintain its elasticity. Take 2-3 tablespoon of coconut oil in a cup. Heat it up until it is slightly warm. Apply the oil over the stretch marks while it is still warm. Gently massage it for about 3-5 minutes. Continue this procedure daily for 4-5 weeks. This home remedy is an effective home remedy to get rid of stretch marks. 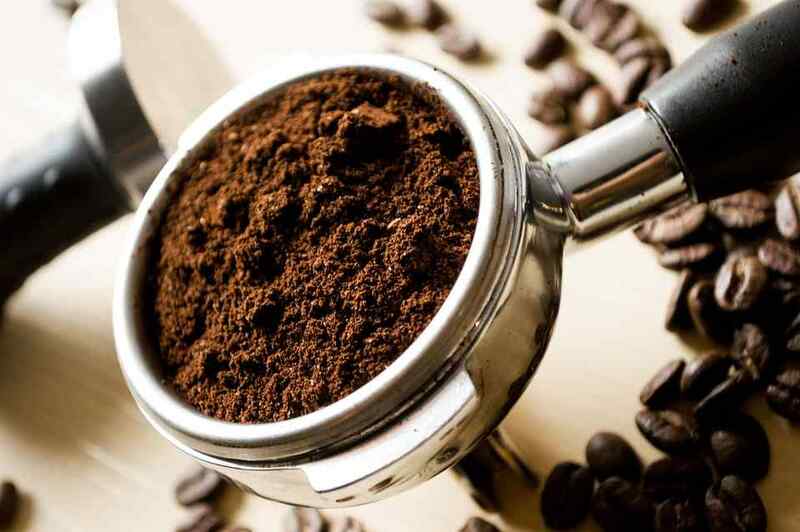 Coffee contains caffeine which penetrates easily through the skin and also helps in reducing the appearance of cellulite through repeated usage. Take 1 cup of coffee powder in a bowl. Add 2-3 tbsp of warm water into the bowl. Mix both these ingredients well. Add ¼ cup of coconut oil or olive oil into this mixture and make it into a paste-like consistency. Apply the coffee scrub on stretch marks in a circular motion for 4-5 minutes. Leave it off for another 15-20 minutes and then rinse off with warm water. From ancient time aboriginal people have been using tea tree oil for treating respiratory infections, acne, dandruff, etc. However, tea tree oil also has a lesser-known benefit which is its ability to eliminate stretch marks. Regular and consistent use of tea tree oil will help in getting rid of stretch marks. Take a small amount of tea tree oil and apply it on the stretch marks affected area. Gently massage it for about 5 minutes in a circular motion. Leave it on for another 5-10 minutes on the skin, before wearing clothes. Onions have been used in various cuisines since history. Onion contains powerful antioxidants known as quercetin and flavonoid which boosts the immune system, acts as a pain reliever, boosts cardiovascular health and also helps in repairing damaged skin cells (4). With onions being 100% natural and easy to find an ingredient, it can be considered as one of the best home remedies to get rid of stretch marks. Take a medium sized red onion. Chop it into round stripes. Take the chopped onion stripes and massage it on your stretch marks for about 1 minute. Repeat it 2-3 times a day daily until you see a result. Take 1-2 medium sized red onions. Chop it into medium sized cubes. Add these chopped onion cubes into a blender and blend it until you get a thick paste-like consistency. Apply the paste on your stretch marks and wrap it with plastic wrap. Let it sit for around 2-3 hours (preferred overnight) and later rinse it off with lukewarm water. Repeat this 4-5 times a week. 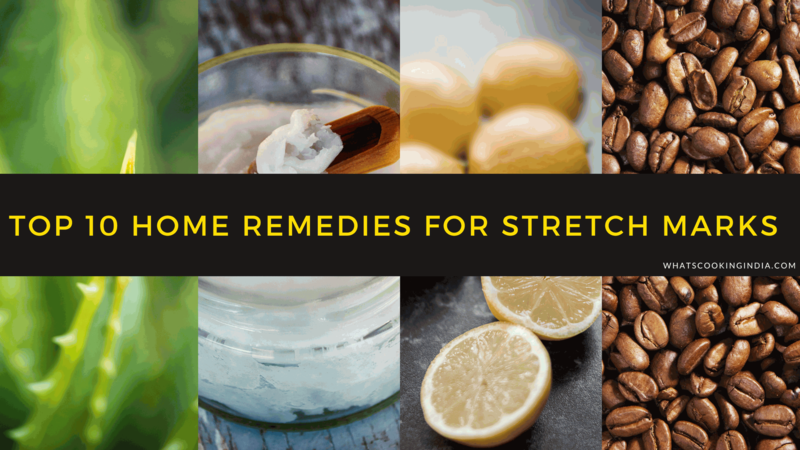 These are our top 10 home remedies to get rid of stretch marks fast and naturally. We would like to hear which ones have you tried and which of them worked for you! Let us know by commenting down below. Can stretch marks be removed naturally? What is the natural remedy for stretch mark?